Very nice ranch home with large 2 stall garage and over 2.3 acres of land, Central air for those sticky nights and a generator hook-up so you'll never be without power. Breeze between garage and home for taking those wet shoes off before going into home. Home features 2 bedroom on main floor and 2 baths, lower level has one bedroom and half bath, family room . All appliances to stay including the washer and dryer ( washer is new) There is a survey on file. 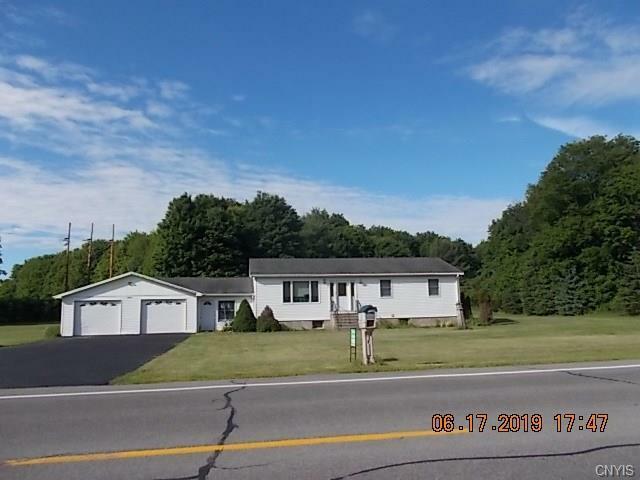 Close to Fort Drum yet not far from Carthage or Watertown with a county like setting. Patio doors with new steps leading to the back yard. Lower level is partial finish has a large room that could be a family room, plus storage room and utility room.